Read our latest news, including sport previews, updates about new products, PR releases, and details of special events. Win big with our Affiliate Fantasy Football League! William Hill will be running a Fantasy Football League just for our affiliates and you can win some top quality prizes! You have a great chance to test your football knowledge this season: All you need to do is sign up at the official Fantasy Premier League website, email your team name to your account manager to get a code for our fantasy team, and pick your winning squad. Big screen LED TV, PS4, Xbox and many more prizes can be yours. Finishing first place will get you a brand new 60″ LED TV, and many more monthly and periodically prizes. 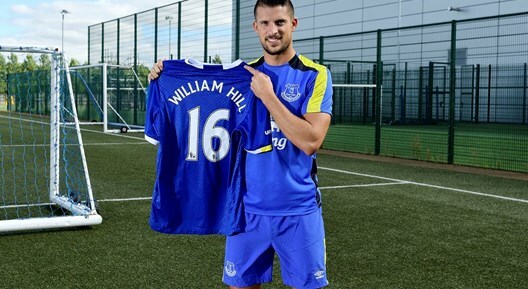 William Hill Agree 2 year Partnership with Everton! William Hill has penned a two-year deal with Everton to become the Club’s Official European Betting Partner. The new partnership will see the Club link up with one of the world’s leading bookmakers to offer exclusive odds on a comprehensive range of markets on all Premier League and cup games, exclusive competitions and money-can’t-buy prizes. The arrangement for the 2016/17 and 2017/18 seasons will see William Hill use Everton’s platforms to connect with Blues fans in the UK and across Europe, with its name set to appear on the Club’s LED screens and interview backdrops as well as providing an improved concourse betting experience for fans at Goodison Park. Alan McTavish, Head of Commercial at Everton Football Club, said: “We are pleased to name one of the world’s leading betting and gaming companies, William Hill, as our new official betting partner and look forward to a successful association between both parties. Everton CEO Robert Elstone (Left) alongside David Lynn (Right), Head of Sponsorship at William Hill at Goodison Park, Merseyside announcing William Hill as Everton’s new ‘Official European Betting Partner’ for the next two years. William Hill sign two year partnership with Tottenham Hotspur! William Hill has announced it will become Spurs’ new Official European and Australian Betting Partner for an initial two-year period. 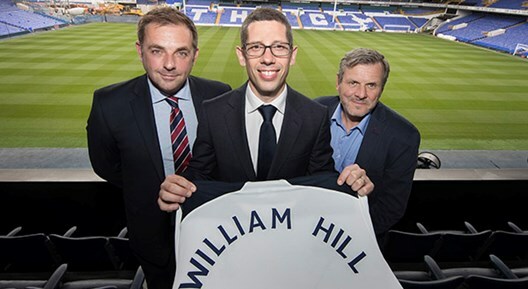 Based in Tottenham Hotspur’s home Borough of Haringey, London, William Hill will have a presence across the Club’s growing digital channels, pitchside advertising boards and will operate the in-stadium betting services on a matchday. 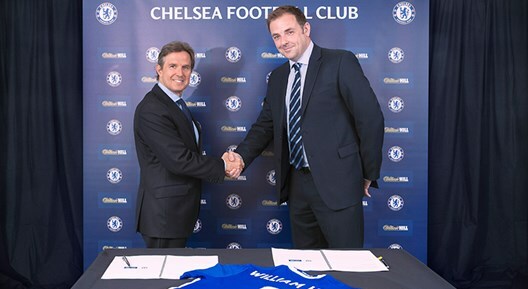 William Hill sign three-year betting partnership with Chelsea Football Club! William Hill is delighted to announce it has signed a three-year deal with Chelsea to become the Premier League club’s new official betting partner. As well as offering odds through its website and smartphone apps, William Hill will also host Chelsea’s matchday betting service at Stamford Bridge, allowing fans to place bets at the stadium on the day of the game and collect winnings from any one of more than 2,300 shops across the UK – including at Fulham Broadway and on the King’s Road close to the stadium. William Hill will also have presence across Chelsea’s extensive range of digital assets and on the pitchside advertising at Stamford Bridge.